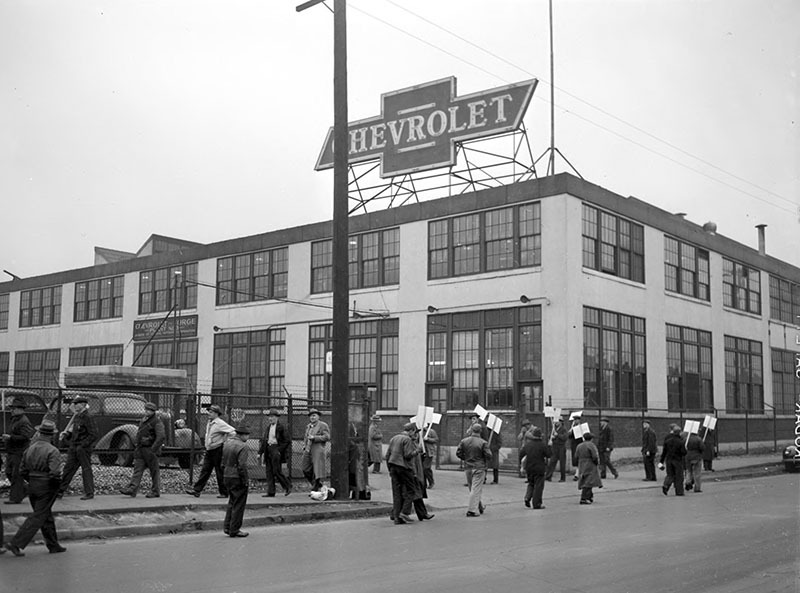 Workers on strike picket in front of the Chevrolet Detroit Gear & Axle Plant in November of 1945. After the end of the Second World War, autoworkers demanded a 30% pay raise to keep up with the rising cost of living. When General Motors refused, over 300,000 workers went on strike lasting 113 days. Labor relations during the 1940's and 50's were one of several reasons why companies started to relocate their factories in cities and state outside of the union stronghold of Detroit. The Detroit Gear & Axle Plant, as well as several other nearby factories were later sold to American Axle & Manufacturing in 1994. 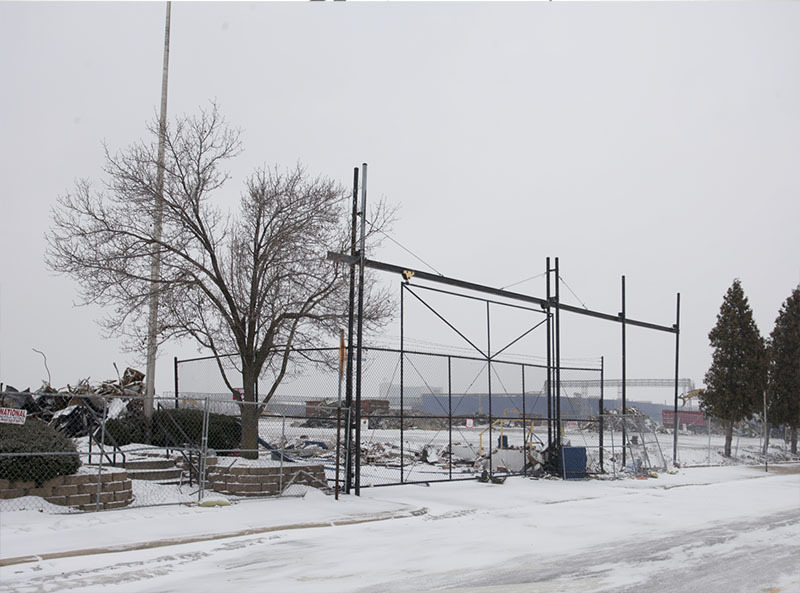 Another strike in 2008 by workers at the Detroit plant fatally damaged labor relations, and American Axle closed the plant in 2012.